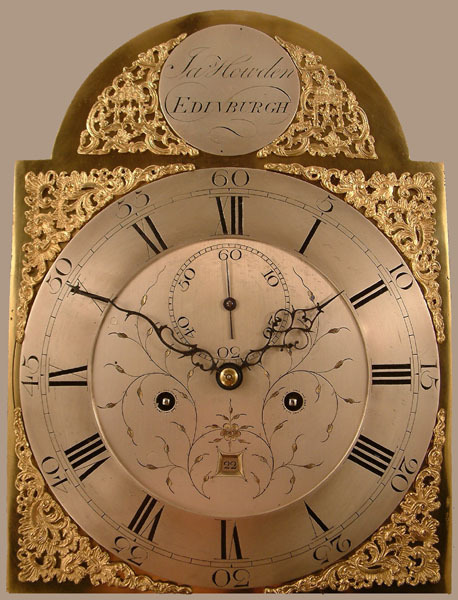 This Longcase Mahogany's Maker - Jas. (James) Howden of Edinburgh recorded apprenticed 1764 died 1810 "A maker of repute". 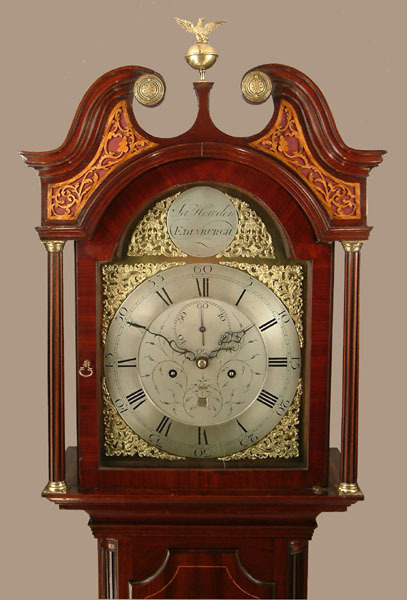 Classic Edinburgh 8 day mahogany longcase of superb proportions. Reeded columns & side windows to hood and quarter columns to trunk. 12" breakarch brass dial with chapter ring and spandrels. Silvered & finely engraved dial centre. Jas. (James) Howden of Edinburgh recorded apprenticed 1764 died 1810 "A maker of repute". 87.5", 222cms, or 85", 216cms ex finials.